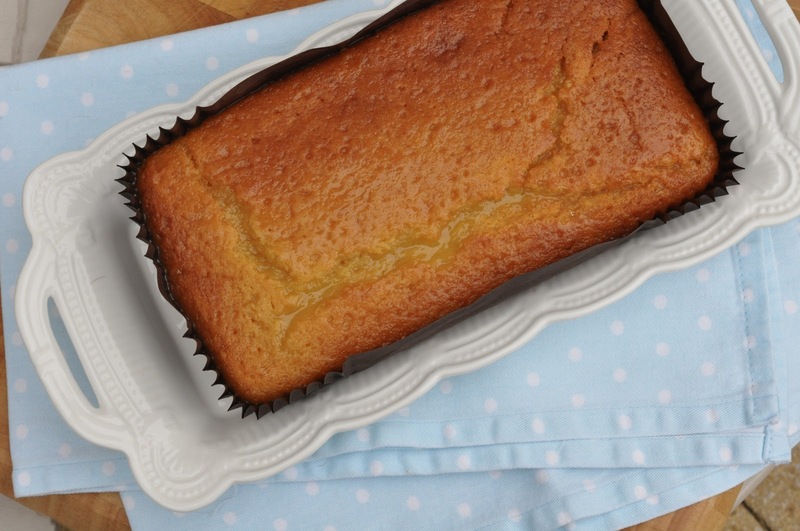 An orange dondi cake has been at the top of my 'to bake' list for a while. A list that seems to be out of control at the moment. My Welsh Grandmother, or Nain as we call her, always used to make this when we'd go and stay with her in Aberystwyth in the school holidays. This cake was served in those afternoon's where my brother, cousins and I were just too hungry to wait for dinner. I guess its the orange equivalent of a lemon drizzle cake, but to me it just seems 100 times better. Another favourite of Nain's bakes is lemon meringue pie, no one can make it quite the same! I made this for my Dad, loaf cakes are very easy to carry on the train, tube and take to lunch! Preheat the oven to 160 degrees and line a loaf tin with baking paper or a loaf tin liner. In a large bowl, stir in the orange juice and sugar into the melted butter. Beat in the eggs and flour until well combined, I just used a hand whisk for 2 minutes. Pour into the loaf tin and bake for 1 hour in the centre of the oven. Whilst the cake is baking, make the glaze by stirring icing sugar into orange juice until a thin paste is formed. Once the cake is cooked, a skewer comes out clean, pour the glaze over the hot cake and leave to cool. Once cool the glaze should form an orangey thin crust to the loaf. I think next time, I may add orange zest to the cake batter to enhance the flavour. This made enough to fill a 2 lb loaf tin and make 6 mini muffins.